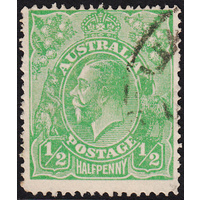 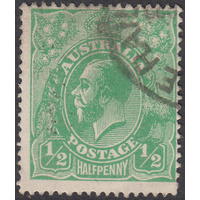 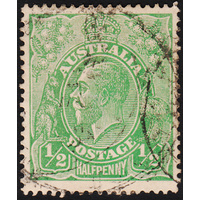 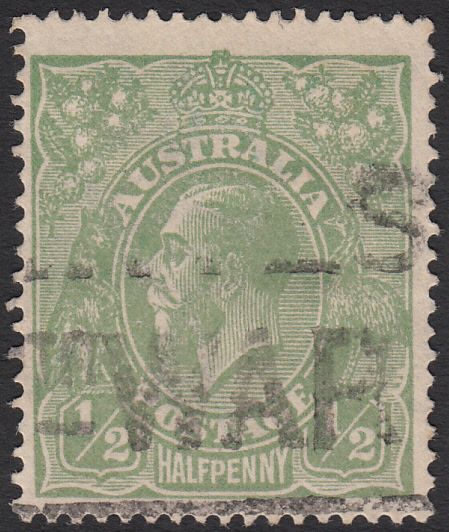 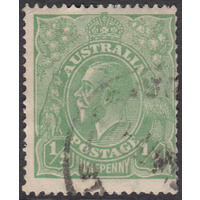 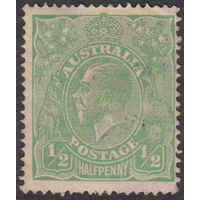 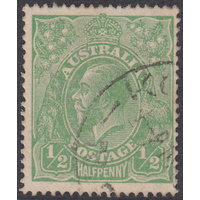 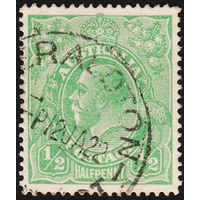 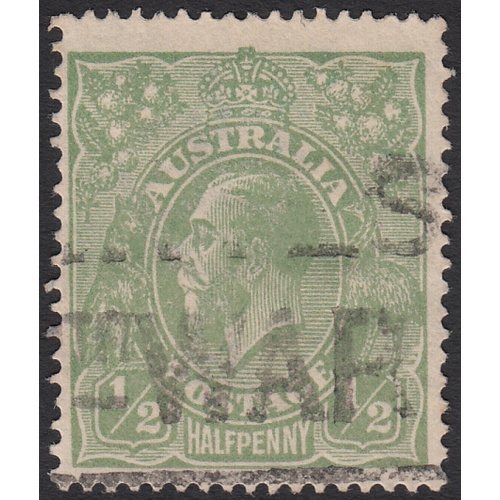 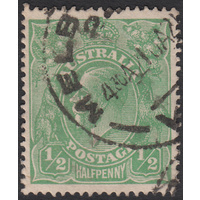 Australia KGV 1916, 1/2d Green, Single Wmk, variety 4L25 (tiny spot in top frame 6mm from top right corner, shortened right ends of 6 shading lines behind Emu's back leg) in Good Used condition with no faults. 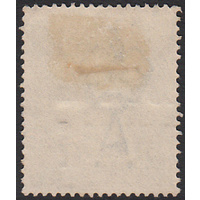 Centered slightly low with a WWI slogan cancellation well clear of both indicators. 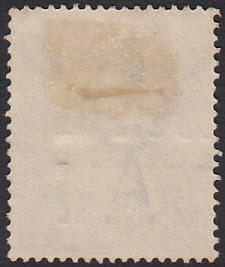 Excellent clear example!